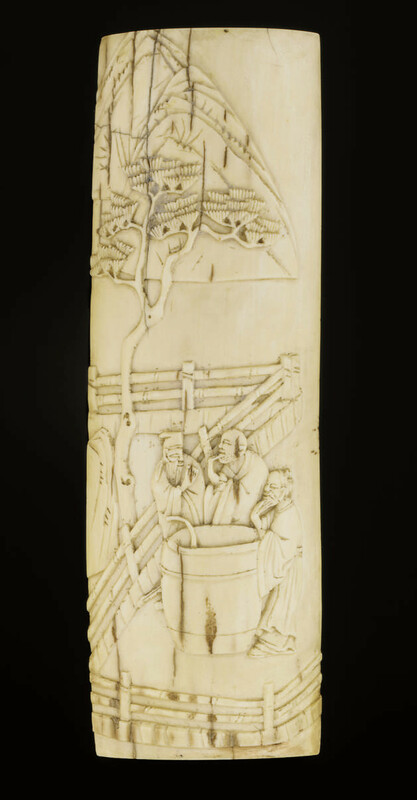 of slender rectangular and domed form, decorated in relief with three scholars in discussion around a large central barrel, within a fenced garden, pine and rockwork to their rear -- 6 5/8in. (16.9cm.) high.